Happy Summer! Though I enjoy writing my newsletter — and the occasional acknowledgement from someone who has read it — I do hope that you’re not reading this on the beach, or some other place nice. I try to set a good example by adding some non-finance (and non-fiction) reading to my summer list, but habits die hard. In any event, I will keep it light and suitable for the season. Whole Foods, Whole Paycheck. We have all probably heard the term in reference to how expensive it is to shop at Whole Foods. But it’s not just Whole Foods. It is expensive to buy quality food pretty much in any grocery store in the United States. I have just returned from the Netherlands and was reminded how much cheaper good food is there. Why is that? Before I digress too far, I am writing about it because I think it is a problem screaming for a solution, which I think will present very compelling investment opportunities in the years ahead. Ok, back to the Netherlands. First, the food is not just cheap it is generally what we would consider high quality: meat from free roaming animals fed natural diets, no added hormones/antibiotics, low on preservatives, pesticides, and other chemicals, way less added sugar, non-GMO, fresh, and low on food miles, i.e. most of the food is local. I am not enough of an expert to argue the merits or demerits of any particular food attribute — organic, non-GMO, etc. — I am just listing these attributes as they are commonly associated with “quality food” for which we have to pay up. Picture: Albert Heijn. 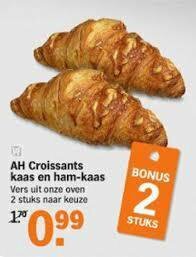 Freshly Baked Ham & Cheese Croissants; 2 for 0.99. In the Netherlands you have premium grocery stores like Albert Heijn, which pretty much has a lock on the premium market, and cheaper stores like Jumbos, which are not as plush but still have high quality foods. In other words, the Dutch do have to make a tradeoff between an upscale shopping experience versus a no-thrills shopping experience, but they do not have to make a tradeoff between high quality food and cheap food. Perhaps a Dutch shopper would buy the cheap, factory-farmed steak if it was half the price of the organic free-roaming steak that lies right next to it in the grocery store. But that choice does not have to be made because the difference in price between the premium and the lower cost steak is much less, as is the difference in quality. Why are prices of quality food in the US so high, compared to Western Europe? I do not know. It would be a great question for an academic paper. Perhaps, those papers already exist; I couldn’t find them. It is not the cost of labor. I am very confident that a Dutch farmworker makes more money than his or her counterpart in the US. It is not the cost of inputs like fertilizer, hormones, and other chemicals, because quality food doesn’t use much of those. Is it because of the greater distance food has to travel? That probably has something to do with it. 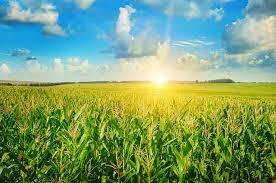 But I think the main reason is the fact that we have 2 food systems: an organic one — where supply is limited and distribution is less efficient — and a conventional one, where supply is ample, crops are subsidized (corn, soy, sugar, wheat), and companies compete on price (and size & look) more than quality. The need to separate the organic from the conventional food, makes the organic food more expensive; it cannot benefit from the larger scale in shipping & handling of the conventional food supply. Add to that our cultural affinity for large quantities, abundance, and a wide selection — i.e. seasonal crops alone don’t cut it, we also like blueberries in January, winter greens in the summer, etc. — and the price differential between organic and conventional is not likely to change anytime soon. That doesn’t mean it is not an attractive industry to invest in, by the way. Demand for high quality food is strong and growing and enough people are willing to pay a significant premium for a product they perceive as being superior. Meanwhile food companies that can solve the cost problem and come in at a price point that entices people to switch from conventional, will see a tremendous improvement to their bottom line, as well as to the diet of the average American consumer. Retail is far from dead. Yes, I said it. Don’t get me wrong, I do not live in a cave, and I too have witnessed the demise of Toys-R-Us, JC Penney, Sears, and many a shopping mall, as well as the comatose state of once formidable retailers like Macy’s, Best Buy, and Office Depot. But then there are counter examples, like the Apple Store, Sephora, and TJ Maxx. So perhaps Amazon is more akin to a predator that controls the herd and ensures only the strong survive and the species lives on, than a ruthless killer. Again, I am drawing on observations from my recent trip to Europe. I paid a visit to an American friend living in Wiesbaden, Germany. It is always interesting to get the perspective of American expats because they can live in Europe but still see it from the outside, which is a unique vantage point. 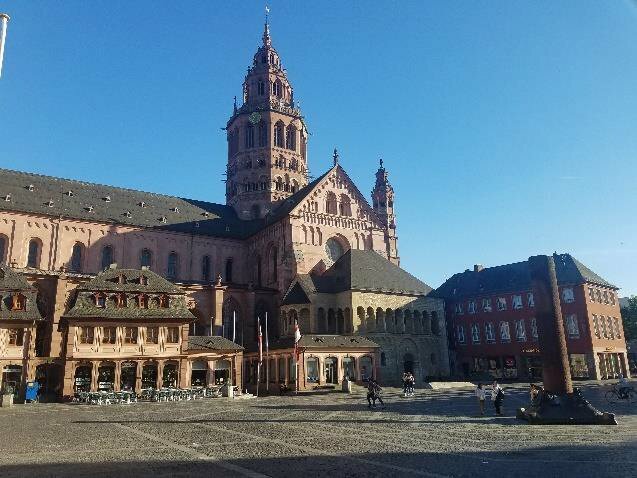 We were walking through the town of Mainz, where the Main and Rhine rivers meet and he was telling me how people love to shop in all the local stores on the weekends and how online shopping is not as pervasive as it is in the US. The town people love their shops, bars, restaurants, and coffee spots, and it all blends together during the weekends, when people go out for a meal, a pair of shoes, and a few grocery items for the evening’s meal. Most of this is done on foot, as the central shopping streets are mostly free of cars. Mainz, Germany. Quiet on a Weeknight. Machine learning, artificial intelligence, and algorithmic investing are the buzz words de jour in the investment industry. Can computers replace humans when it comes to investing? I don’t know. I like to think not, because if the answer is “yes”, I may have to find another job. To be sure, computers can do ever more things better than we can, like pattern recognition, for example. If certain stock price movements have traditionally signaled a downturn, a computer can pick up on those patterns before a human can, if told to look for them. If there is a direct correlation between Ben & Jerry’s ice cream sales and global weather fluctuations, a computer will be better able to predict sales based on weather data than any person could. But the past can only predict so much about the future. Maybe ice cream sales are more influenced by Rhianna’s new summer single than by the weather; or not. So in a world of constant change, there is still use for humans who — being humans — might be better than computers at predicting how other humans will react to that change. Emotional intelligence is another aspect where humans have an edge. Can a computer convince a client that he really cares about her financial future and coach her to stay the course during a market downturn? The computer, without emotions and without empathy, couldn’t possible care about the client and the client knows that. Can a computer have an opinion on whether a newly discovered Van Gogh will shatter records at auction? Sure, it can look at thousands of past auctions and different economic variables that might indicate that would-be buyers are likely to be stingy or loose with their wallets, but fundamentally it cannot appreciate the artwork itself and may therefore not be a reliable partner to an investor wishing to make a bid. Ask Siri whether she thinks the Mona Lisa is a pretty painting, or what her favorite color is for that matter. She might have an answer, but is she telling the truth? 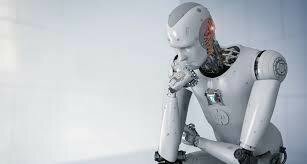 So back to the question of whether the investors of the future are computers or humans. I think they will be humans with ever better computers. There is no point in doing what computers do better, which I think is generally good career advice. But there will be plenty of space left for humans to add value. We will continue to be emotional creatures, prone to make behavioral mistakes, and in need of other humans to consult with, that can appreciate our hopes, our fears, and our goals. Speaking of emotional intelligence, there is one development on the horizon that — if not contained — could be a spoiler for the stock market in the back half of 2018: an escalating Trade War. The temptation of our current administration to move in that direction is high on emotion and low on intelligence. The world is a connected place. People in Europe like American bourbon. Harley Davidson sources its brake and clutch parts from Italy, BMW exports the X5 from South Carolina to Germany, Justin Bieber is originally from Canada (thank God), and the US ships rice to Asia. The threat of a Trade War is the perfect exampling of one-dimensional chess: thinking zero steps ahead. You may knock off a pawn but then your opponent’s next move is to take your knight. You might take down a bishop but have to surrender your rook in return and compromise the safety of your queen. I said at the onset that I would keep it light. In that vein, I actually don’t believe the trade skirmishes will lead to a full-blown war. After all, the good thing about one dimensional chess is that the game doesn’t last very long. Similarly, I think the tariffs will be reversed before they have had the chance to do irreversible harm. The market seems to agree with that notion and although it has reacted to the headlines, it has quickly recaptured lost ground. Whether you find yourself on a sandy beach, a rocky mountain, poolside, or in your hometown enjoying the quiet streets and warm nights, I wish you a fantastic rest of the summer. JPS Global Investments supports the SDGs. JPS Global Investments, LLC is a registered investment adviser offering advisory services in the State of CA and in other jurisdictions where exempted. Registration does not imply a certain level of skill or training nor does it imply endorsement by the State of California. This site is for informational purposes only and does not constitute an offer to sell, nor a solicitation of an offer to buy, any securities. © 2019 JPS Global Investments, LLC. All rights reserved.